Stealth Bomber Downed by North Korea as U.S. Begins Massive Covert Rescue Operation. 03:19 Hr.s Local. 35,000 feet, B-2 Spirit Stealth Bomber “Spirit of Arizona”, 15 miles west of Yongbyon Nuclear Scientific Research Center, North Korea. The B-2 Spirit stealth bomber is nearly invisible to radar. But not bullets. Pulling off target after a massive precision strike on the North Korean nuclear weapons development facility at Yongbyon, North Korea, B-2 Spirit number 82-1067, the “Spirit of Arizona” was leaving the target area at medium altitude and high speed. The aircraft was configured for minimum radar and signals observability with all lights retracted and emissions restricted. Spirit of Arizona was one of three B-2’s that leveled the nuclear research facility in a massive conventional bombing raid, the largest of the New Korean War so far. While it would take a few hours to collect bomb damage assessment data the satellite images would show the raid was a complete success, with the entire research facility, storage areas and the reactors themselves being completely devastated in a hail of precision guided 2000 lb bombs. Now all the crew of Spirit of Arizona had to do was get themselves and their nearly invisible, completely defenseless, two billion dollar aircraft out of the most heavily defended airspace in the world and back to Diego Garcia. 03:22 Hr.s Local. 37,800 feet, North Korean MiG-29 Fulcrum, 28 miles southwest of Yongbyon Nuclear Scientific Research Center, North Korea. Sojwa (Major) Kim Si Gwok had more hours in MiG-29 Fulcrums than every other North Korean fighter pilot except for two. He did have the most time flying the Fulcrum using night vision goggles, a particular distinction considering the North Korean Air Force did not have enough night vision goggles compatible with the MiG-29 for all the aircraft they owned. That distinction put Maj. Gwok on CAP (Combat Air Patrol) in his MiG-29 tonight over the critically strategic target of Yongbyon as part of the air defense for the facility. That the American stealth bombers had already gotten through to hit the nuclear facility was a major failure for the North Koreans. Maj. Gwok knew Yongbyon had been hit within the last few minutes, likely by cruise missiles or American stealth bombers. Gwok couldn’t do much about the cruise missiles. He read about British Spitfire pilots in WWII who had defeated the first cruise missile, the German V-1, by flying next to them and flipping them over with their wingtip. That would be impossible with the low altitude American Tomahawks. But, if there were stealth bombers in the area that he may be able to shoot down, he was going to try to find them. As a lifelong combat pilot he felt he had a sense of what the enemy’s egress route from the target might be, the shortest distance to the coast. So that was where he went looking for the “invisible” American stealth bombers. In March 1999 the Yugoslavians used a combination of ground based observers and expert search radar operators to shoot down an F-117 stealth fighter. It was a lucky shot, a golden BB, and it proved stealth wasn’t invulnerable. Major Gwok knew this. He knew that, other than stealth, the American batwing bombers were defenseless. If he could see one, he could shoot it down. 03:28 Hr.s Local. 35,000 feet, B-2 Spirit Stealth Bomber “Spirit of Arizona”, 41 miles west of Yongbyon Nuclear Scientific Research Center, North Korea. Mission Commander, Capt. Bill Myers of Pensacola, Florida and Aircraft Commander, Maj. Dave Evans of Boulder, Colorado were getting constant secure updates on the air defense environment through their secure datalinks onboard Spirit of Arizona as she ran toward the coast after hitting Yongbyon. The three strike aircraft followed different egress routes in the very unlikely event an enemy aircraft or air defense crew could somehow visually acquire one of the B-2’s at night. 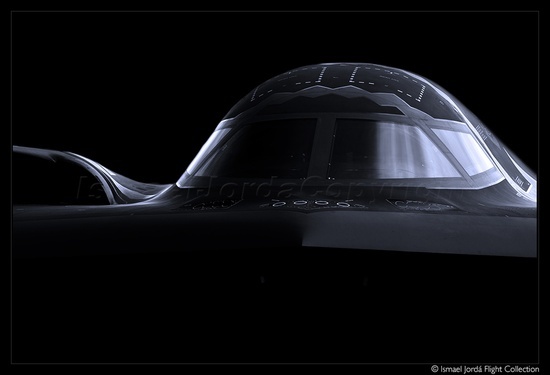 Since the B-2 was a fast, subsonic aircraft, was relatively quiet, painted black to blend with the night sky and operated at altitudes to avoid contrails the chances of an enemy fighter pilot visually acquiring them was almost zero. But not absolute zero. Myers and Evans knew the entire North Korean air defense network would be up looking for them with everything they had. Even with the most sophisticated combat aircraft in history they still had to get out of North Korean airspace without being seen. 03:29 Hr.s Local. 37,700 feet, North Korean MiG-29 Fulcrum, 47 miles southeast of Yongbyon Nuclear Scientific Research Center, North Korea. Gwok didn’t really see the American stealth bomber as much as he saw what appeared to be a slit in the night sky. Reflected light from humid air at lower altitudes cast a low, soft glow upward from the ground below. The sky had a gently silver tinge to its black emptiness except for a small sliver of dead black below and to the left of Gwok’s MiG. Not knowing the sensor capabilities of the American stealth bomber, if that is what he saw, Gwok turned gradually to align himself with what he thought was his potential target’s heading. He gently moved the stick forward and, as his MiG closed the distance to the sliver of black the descent also added airspeed. His approach was perfect, high and behind. If he was right, this looked too easy. 03:29 Hr.s Local. 34,000 feet, B-2 Spirit Stealth Bomber “Spirit of Arizona”, 51 miles west of Yongbyon Nuclear Scientific Research Center, North Korea. Myers and Evans knew they were in deep trouble. 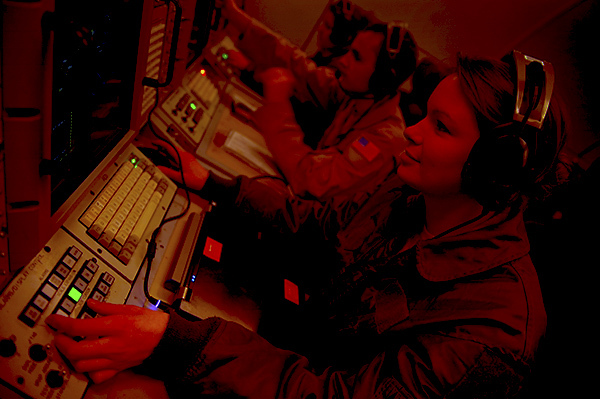 AWACs told them over secure, stealthy datalink communications that there was an enemy aircraft high and behind them. There was a remote chance it could visually acquire them. There was nothing they could do except recheck the low observable settings and the make sure the throttles were firewalled so they could get out of North Korean airspace as quickly and invisibly as possible. If it wasn’t already too late. 03:30 Hr.s Local. 37,700 feet, North Korean MiG-29 Fulcrum, 49 miles southeast of Yongbyon Nuclear Scientific Research Center, North Korea. Gwok wasn’t quite sure it was an American stealth bomber at first. 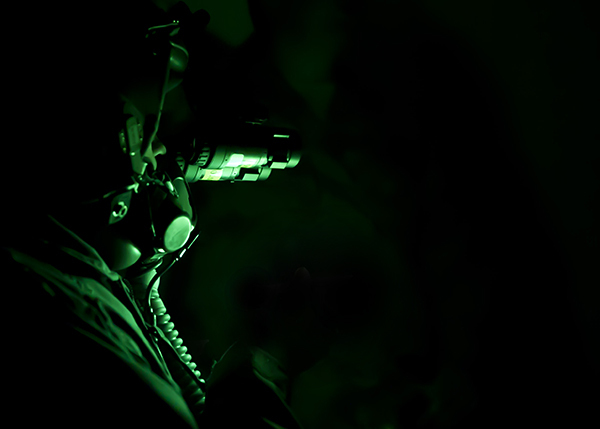 Through his visor, the night vision goggles and his canopy the image was ghosted and dark. A black slit in the otherwise pixellated sky. Then two bright rectangles of green bloomed in front of him; the exhaust heat from the B-2’s four engines. Even though they are channeled and louvered to prevent a large infra-red signature from below they still pump out a lot of heat as seen from from above. That heat lit up Major Gwok’s night vision goggles. His fingers flew over his console to unsafe his GSh-30-1 cannon. The instant the safety selector was slewed to “FIRE” his gloved finger clamped down on the trigger at the front of his stick. The 30 millimeter cannon tore off a succession of white-hot shells in a bright line of arcing white dots perforating the night sky. They expanded out in a wide curve and faded. Gwok jinked hard right, largely from instinct but also to avoid overrunning his target or even colliding with it. He didn’t know if he scored a hit. He pulled hard back and right on his stick, describing a tight circle to come around and see if he could spot the black stealth bomber. As Gwok finished his tight 360-degree turn and rolled wings level he saw something trailing flame through the night sky, cartwheeling straight down toward the earth like a black, burning boomerang. 03:30 Hr.s Local. 34,400 feet, B-2 Spirit Stealth Bomber “Spirit of Arizona”, 55 miles southeast of Yongbyon Nuclear Scientific Research Center, North Korea. Alarms lit off inside the cockpit. The nose went down and Evans tried to add power and gently pull back but there was no perceivable control response. The aircraft began to shudder, then pivot oddly beneath them. It was falling apart. The G-load increased and the aircraft entered a spin like a boomerang. Evans got one hand between his legs and into the ejection handle as he said, out loud into his mask, “EJECT, EJECT, EJECT!”. Myers never heard him. He may have been fighting the losing battle to save the aircraft, he may have been wounded, he may have been dead. He never made it to the ejector seat handles. The B-2 spun nearly 180 degrees in the air, nosed down and began to topple like a kite freed of its broken string. The top of the flying wing’s fuselage exploded in a spit of flame as Maj. Dave Evans’ ACES II ejection seat rocketed free. It flipped end over end at first, falling through 15,000 feet until it stabilized somewhat. At 10,000 feet the barometric altimeter automatically released Evans from the seat and his parachute began to deploy. The ejection, like all escapes from a crashing airplane, was violent. The severe vertigo was made worse by the darkness. Evans lost consciousness from the centrifugal force of the seat spinning after his egress from the crashing airplane but came back into a hazy state of alertness once his parachute canopy opened and he was scooting along under it at a steady speed with the prevailing winds. He didn’t know it, but the winds were carrying him toward the west coast of North Korea. A disadvantage to being a stealthy aircraft is that, when the aircraft goes down, it is very difficult for rescuers to know where to look for the surviving crew, if there are any. Major Dave Evan’s ejector seat was equipped with a ProFIND SLB-2000-100 locator beacon. The beacon is a part of the pilot’s survival kit packed into the seat pan of the ACES II ejector seat. It actuates automatically when the pilot separates and dangles below him as a part of the survival kit package. At 9,500 feet above the ground Evan’s locator beacon began to transmit. 03:40 Hr.s Local. 45,000 feet AGL, U.S. Air Force E-3G Sentry AWACS Aircraft, 21 miles west of North Korean coast. Airman 1st Class Stephanie “Stuffy Stef” Monroe, an airborne sensor operator oddly prone to allergies on board an E-3G Sentry off the coast of North Korea, saw something on her monitor she had only seen in training. The flashing icon indicated an incoming emergency locator beacon from a pilot’s survival kit. She keyed her microphone to the on-board mission commander. In less than one minute half of the crew of the E-3G were shifting their workloads to a new priority; rescue one of the most sensitive assets in the U.S. military- a stealth bomber pilot. Nicely written, interesting subject too. Thanks for a good read.